Bonethane Premium - THE DIY FAVOURITE! 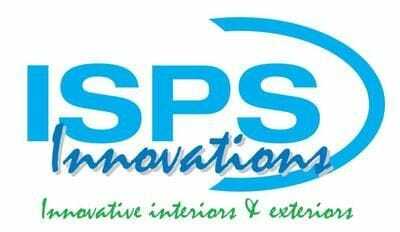 ISPS Innovations the Masters in DIY Products. Use Bonethane Premium for your project & see why Bonethane Premium is the DIY favourite, see why Bonethane Premium is the preffered alternative to Glass. # Splashbacks. If you have any concerns prior to installation please contact our helpful team, we'll be happy to address your questions & guide you through the installation process 7 days a week. Bonethane Premium is light, flexible & most importantly workable through its entire life span, from installation to its usage. Bonethane Premium can be cut down on site, including power points & innovative angles, without the hassel of splitting & cracking like glass, tiles or acrylic showcasing styles to any home or commercial environment. This can be done moments before installation, making Bonethane a very cost effective product & a DIY favourite, saving time on cutting & preparation. Accelerated testing methods have been carried out on Bonethane Premium to combat harsh conditions experienced in domestic, commercial & outdoor environment including humidity, heat & cold one of the formost primary contributors of climatic weathering in these surroundings. Bonethane Premium is a versatile & user friendly product with an easy to care for surface. Light scratches can be easily buffed out. Bonethane Premium is an excellent choice for metal or glass replacement for continuous service temperatures that do not exceed 110°C. Bonethane Premium comes with a 7 year structural warranty. If you maintain your warranty conditions & provide ISPS with proof of purchase from a recognised distributor, ISPS will gladly extend Bonethane structural warranty, reflective of care instructions & the environment Bonethane lives in. To qualify simply register your purchase with ISPS Innovations within two weeks of purchase, strictly follow all care & installation instructions & provide 4 digital images, clear & detailed of your amazing project. Photos will be used for the purpose of marketing & advertising. ISPS will gladly provide a 12 year statutory warranty. ISPS will only warranty Bonethane if you have purchased the item from a recognised distributor & retain your original receipt from our recognised distributor. Boutique Internet purchases from unreliable source are not covered by our warranties. If you are unsure please call our office for further infomation. Bonethane Premium can be bent to house an internal right angle. 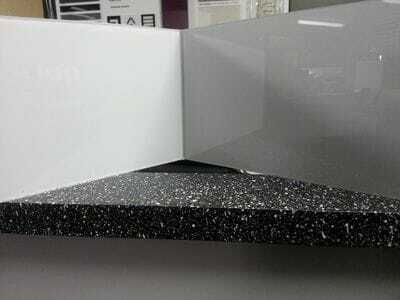 Perfect for shower cubicles, no mould no grout, no polishing for more information please call our office 08 8381 8880. 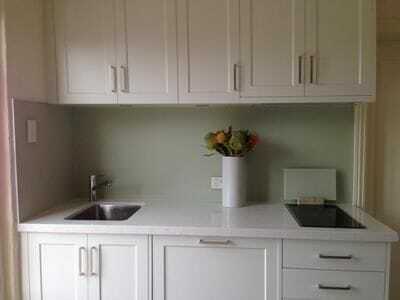 Check out this Farquhar Kitchen to the right with our Satin finish DIY splashback by ISPS Innovations. Bonethane Premium internal right angle bend, resting on ISPS CulourTek antiscratch benchtop, all in any colour.